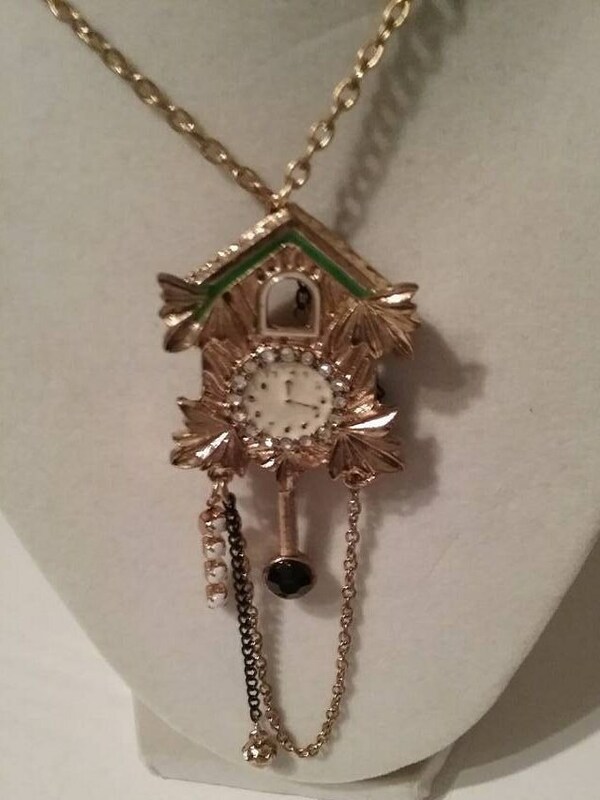 Vintage Disney Pinocchio Cuckoo Clock Pendant Necklace. 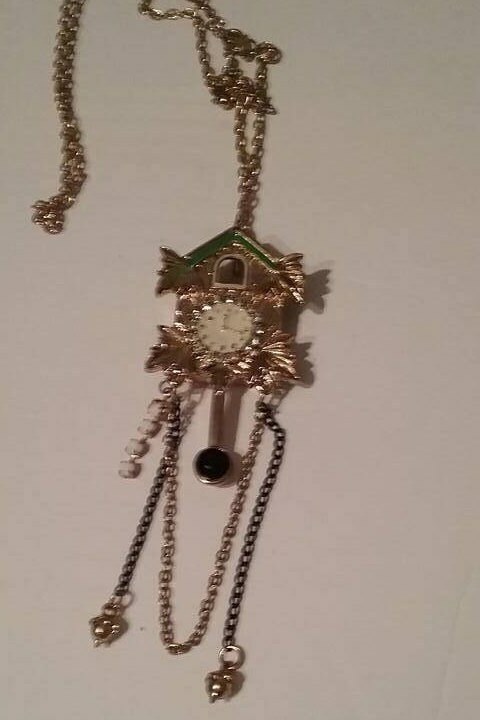 This Necklace is by Disney Couture! 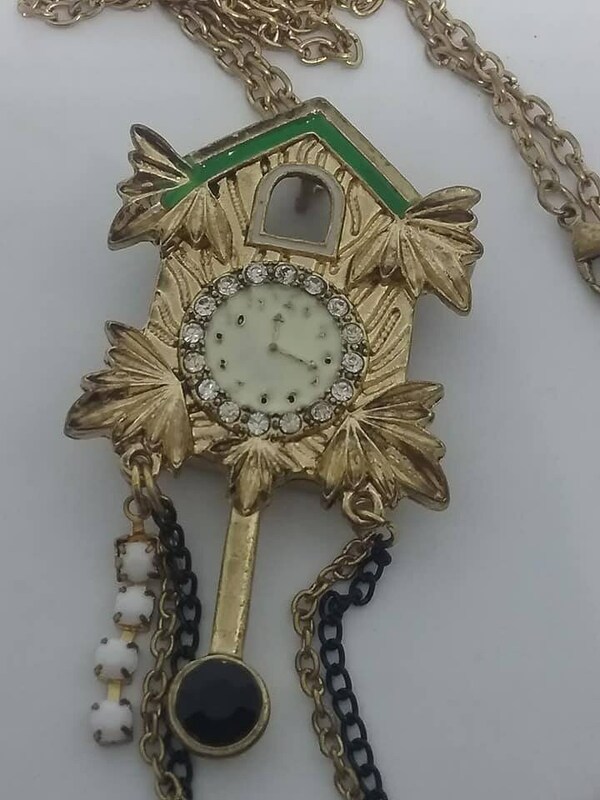 The pendant itself is super-stylish hand-painted enamel with crystal and beaded accents, and comes on an extra-long chain. 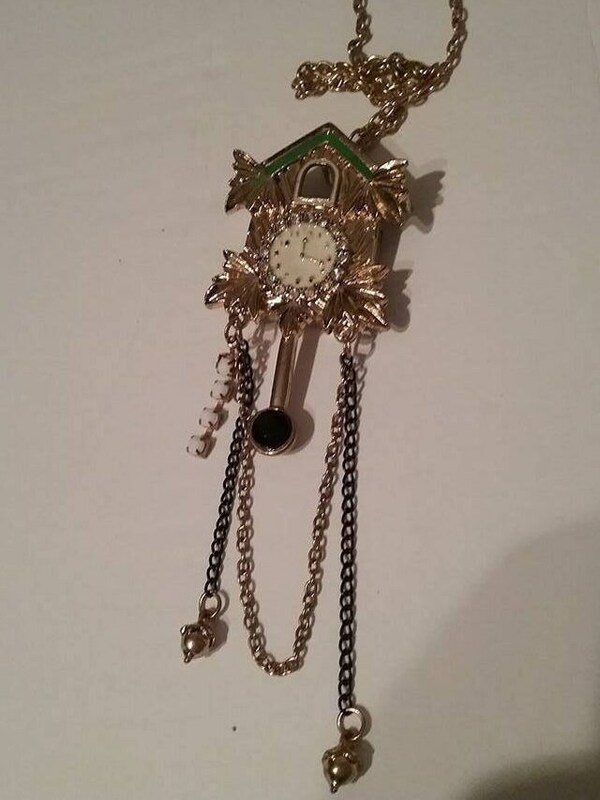 Incredibly subtle, yet incredibly Disney. 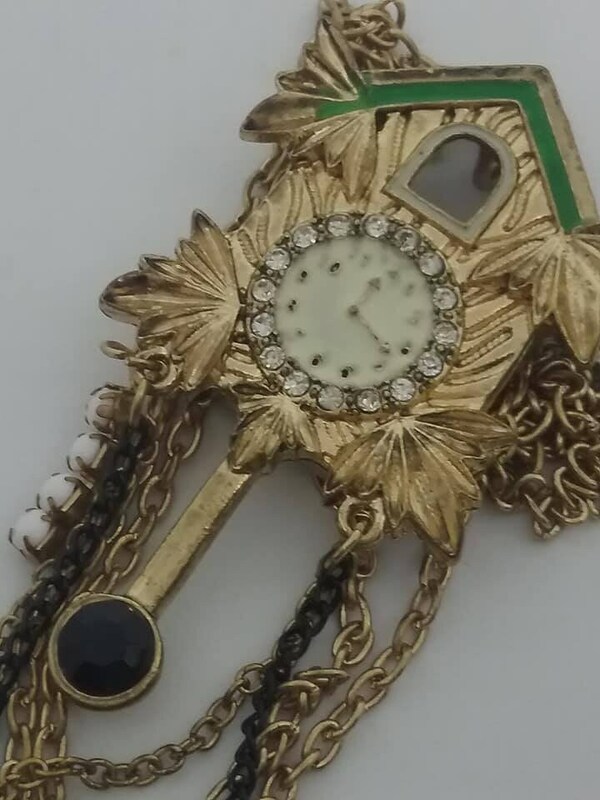 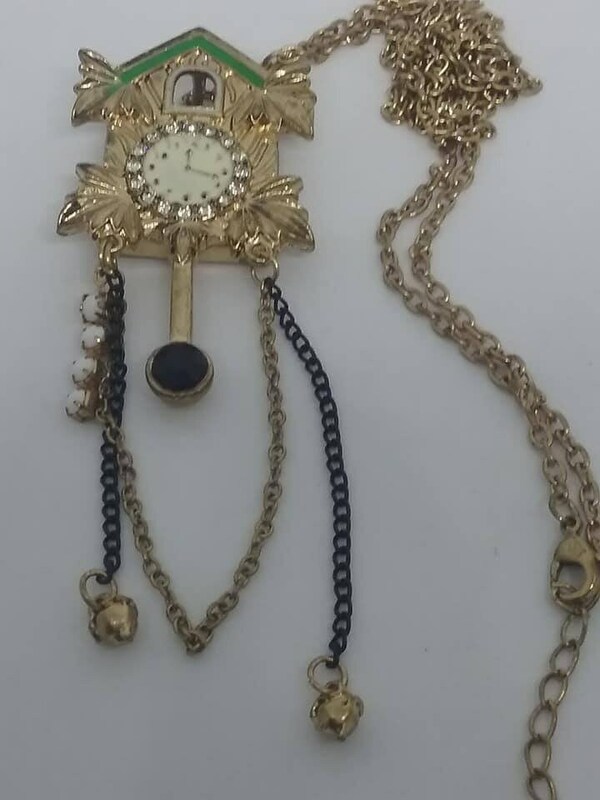 Gold tone detailed Cuckoo clock pendant on faux gold 31" chain. 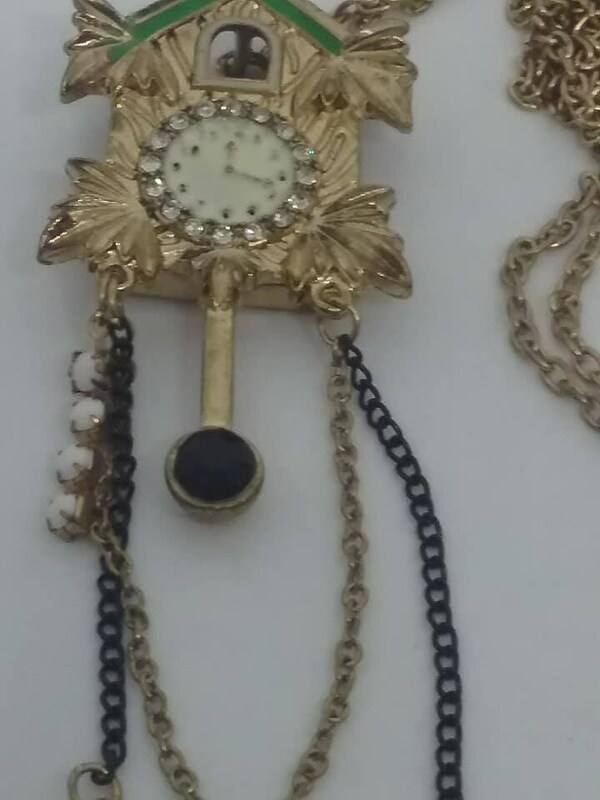 White faux pearl clock face is surrounded by clear gemstones. 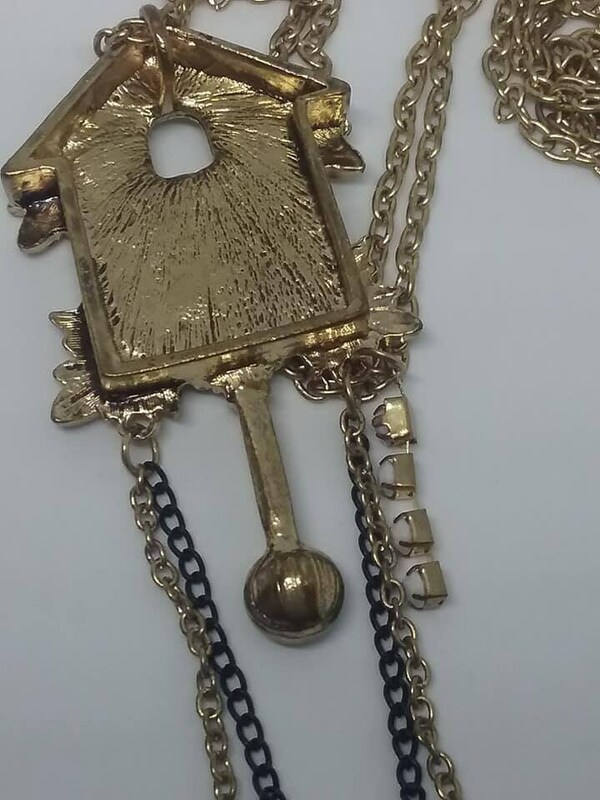 Gold colored details with a variety of chains and beads representing the pendulum.